The Sumitomo Ice Edge tires deliver exceptional cold weather performance even on ice and snow. These studdable tires feature the advanced 3D sipe technology that enhances grip in freezing conditions. In wet surfaces and snow, the wide, serrated tread channels remove water and slush to improve safety and traction. The tread design also delivers quiet, comfortable rides on the highway, with excellent braking and cornering. The wide optimized footprint minimizes wear while ensuring superb handling and responsiveness. Purchase includes the Sumitomo Ice Edge tire only. The wheel rim shown in the picture is not included. Picture provided is a stock picture from the manufacturer and may or may not reflect the actual product being ordered. All Sumitomo Ice Edge tires are continuously developing with manufactured improvements. With that said, Simple Tire and the manufacturers have the right to change these tire specifications at any time without notice or obligation. Please Note: Specifications of the Sumitomo Ice Edge tires shown above are listed to be as accurate as possible based on the information provided to us by Sumitomo tires. Running these on my Tacoma. 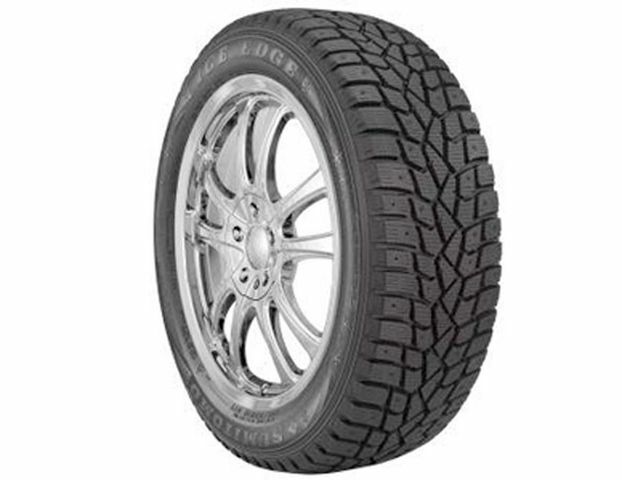 For a dedicated snow tire they are very comfortable and have little road noise. Dry weather traction is just as good as my all terrains. Snow handling is excellent but not the best. I'll give that praise to Blizzaks. However, at this price point, they exceed expectations. Amazing tires, I take them up the mountain every weekend and ice and snow is no challenge it plowed through 2 feet of fresh power in a 2012 mazda 3 sky active fwd thats above my bumper. As far as dry it's impossible to do a burn out but in corners at high speeds probably to fast for the actual corner there a little inconsistent and on my car I get major oversteer but in dirt and snow I have under steer. Long story short these tires are amazing they will get you anywhere safly and the best bang for your buck is right here. I couldn't make it up our hill in N. Minn with regular all season tires! Bought htese and now I have a Tank! Amazing snow traction!